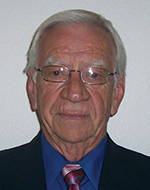 Dr. Floyd Boschee has an extensive background in teaching and educational administration. He served as a teacher, coach, and school administrator in the public schools and as a professor and chairman of departments of education at the collegiate level. Dr. Boschee is professor emeritus in the Division of Educational Administration, School of Education, at the University of South Dakota and a former school board member of the Vermillion School District, Vermillion, South Dakota. During his tenure as a university professor, he consulted with school districts on reorganization; published numerous articles in major educational journals; and conducted workshops on curriculum development and implementation, the teaching and learning process, and school administrator evaluations. He is the author or coauthor of 13 books in the fields of school administration and curriculum and instruction.